At Spa Radiance Medical we offer Kybella in response to our patients’ frustrations with the often-hereditary fat under the chin. Whether the double chin comes from genes or weight gain, it’s often the toughest to lose. 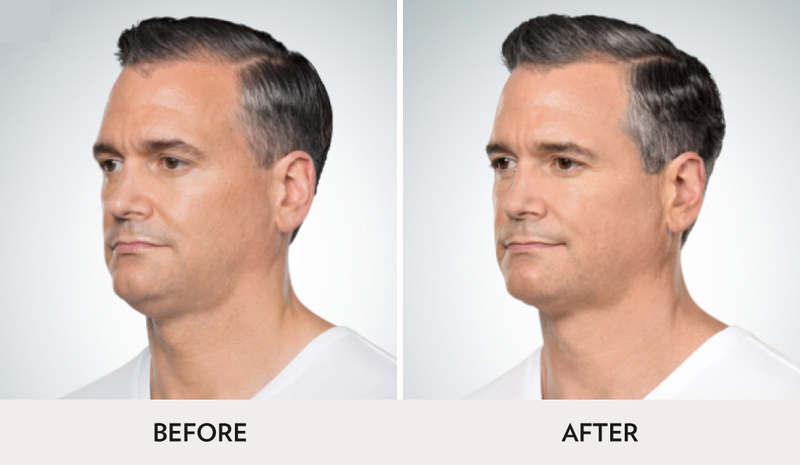 Enter Kybella, the first and only nonsurgical procedure approved by the FDA that kills the chin fat. 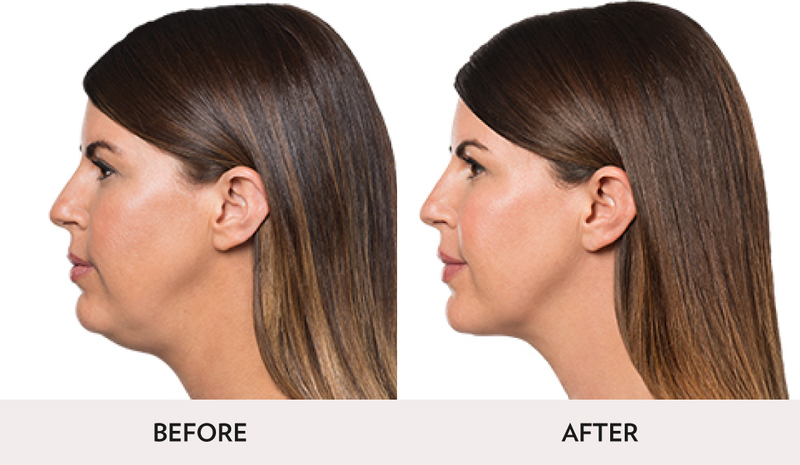 Kybella causes the rapid destruction and absorption of fat, creating a firm jawline with planned downtime. Consult with your nurse about recovery, recommended maintenance, and your perfect treatment regimen. Expert Tip: Our nurses recommend a series of 4 SkinTyte® treatments to complement your Kybella treatment with tightening and maintenance benefits. Please arrive 30 mins prior to your appointment to apply a topical anesthetic to the treatment area. LED light therapy is recommended post treatment to help reduce inflammation and bruising. Contact Spa Radiance Medical if you experience any serious or prolonged side effects. KYBELLA® injections are to be administered at least 1 month apart until desired results are reached. You will be provided with the estimated number of treatments needed in your consultation. The number of treatments recommended will be based on the fullness of the treatment area, and the desired result of the patient. For the most cost effective treatment, we recommend that you purchase our treatment series which includes 2 treatments, using up to 4 vials per treatment. While you may want to see results right away, it is important to be patient. Allowing your body time to process the fat cleared from the treated area after each visit is an important part of this treatment. Because of the common side effects, we encourage you to plan your treatment appointments around your work and social commitments. Most patients experience the common side effects for 5-10 days post treatment. If concerned, please ask your treatment provider for a comprehensive list of potential risk and side effects. 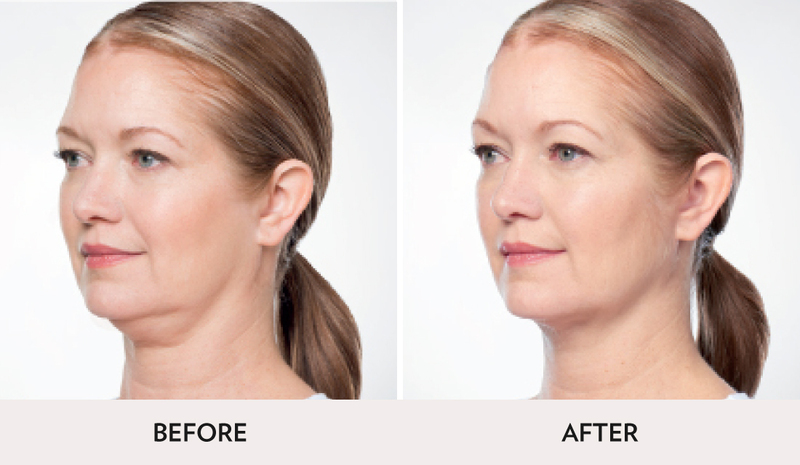 When injected into the area beneath your chin, KYBELLA destroys fat cells. Once destroyed, those cells cannot store or accumulate fat. The active ingredient in KYBELLA is deoxycholic acid, a naturally occurring molecule in the body that aids in the breakdown and absorption of dietary fat. According to a 2015 survey conducted by the American Society for Dermatologic Surgery, 67% of people said they are bothered by the fullness beneath their chin. Sometimes, even with diet or exercise, the unwanted fullness may not go away. Submental fullness is the medical term your nurse might use to describe the unwanted fullness beneath your chin, which can be the result of moderate to severe fat below the chin. This may be commonly known as a “double chin”. Isn’t a double chin associated with being overweight? Sometimes, even with diet or exercise, the unwanted fullness may not go away. Genetics, weight gain, or aging can be a cause of submental fullness due to fat beneath the chin. How long does KYBELLA last? Will I need further treatment? Once the aesthetic effect is achieved, further treatment is not expected. 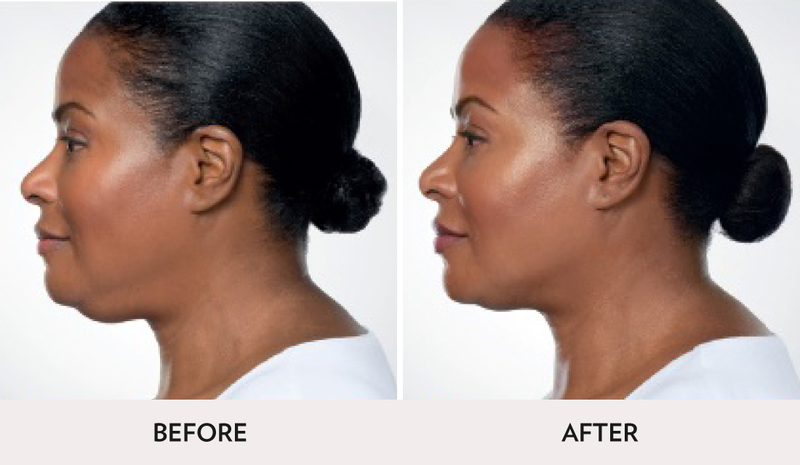 KYBELLA is a nonsurgical treatment administered during an in-office visit. The injections may take 15 to 20 minutes. You should be able to resume normal activities after the procedure. You are likely to have swelling, so keep your social plans and work commitments in mind when scheduling treatments. 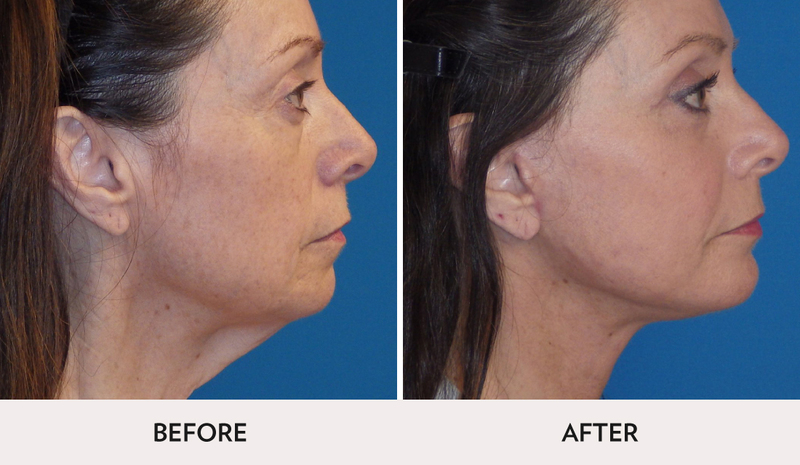 For many people, downtime with KYBELLA occurred most commonly after the first treatment session. There may be some pain associated with KYBELLA injection.After treatment, apply ice or a cold pack to the treatment area as needed. Although results are noticeable, they are not immediate. KYBELLA works gradually to destroy fat cells. Once the aesthetic affect is achieved, further treatment with KYBELLA is not expected. Because there will be an inflammatory reaction, typically the skin tightens up as well as disappearance of the fat. Allergies to deoxycholic acid. If you have a history with allergic reactions to any medications or products, please notify your nurse to discuss the list of ingredients before treatment. take any over-the-counter medications, vitamins, or herbal supplements.